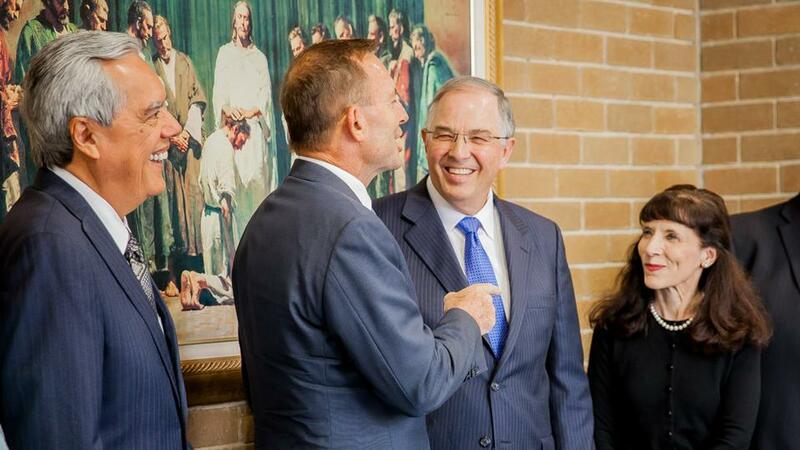 The Hon Tony Abbott MP, member for Warringah and former Prime Minister of Australia, met with Elder Neil L. Andersen of the Quorum of the Twelve Apostles of The Church of Jesus Christ of Latter-day Saints in Melbourne, Australia on Friday 16 March. Elder Andersen invited Mr Abbott to speak to missionaries that were gathered at the Maroondah Stake Centre for a special conference, coinciding with Elder Andersen’s visit to the Area. Mr. Abbott took the time to discuss his Christian faith, and related his experience studying in the Catholic Seminary. Brisbane Stake and Buddhist Temple Work Together White House Releases Statement Regarding the Passing of President Thomas S. Monson LDS Church Announces Funeral Services for Thomas S. Monson ABC News: What’s it really like being a Mormon missionary?